I've always been quite wary of fake tan, being naturally fair skinned I've worried about it ending up looking orange and unnatural, so I was very excited to be offered the opportunity to try out the Cocoa Brown 1 Hour Tan. 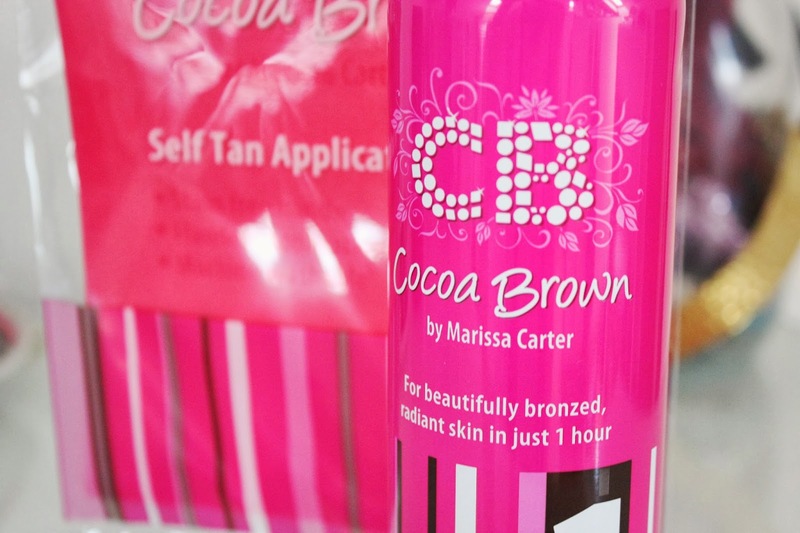 The tan claims to develop within one hour, last 5-7 days, with no fake tan smell! The no fake tan smell was something that really appealed to me, I've sat next to people before and all I can smell is their awful tan! I really love the packaging, the bright pink is right up my street and the bottle is really handy, I did have one mishap after not shaking the bottle and getting it on my duvet, oops! 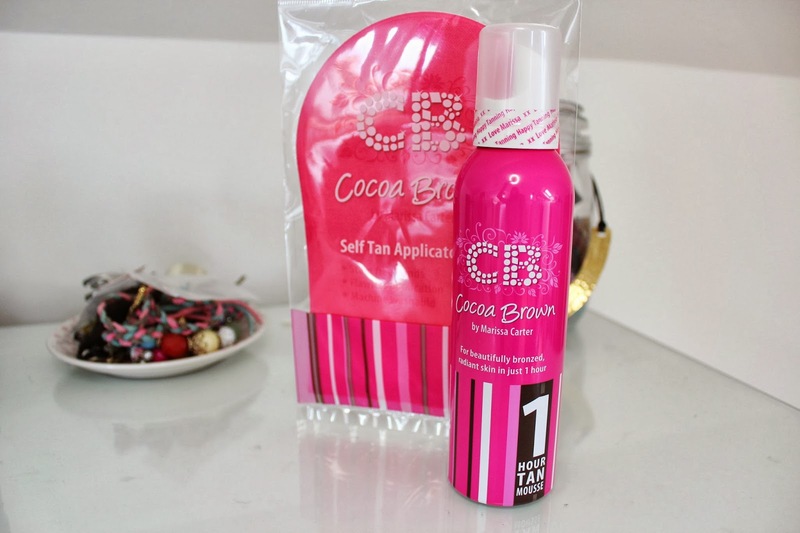 To apply, I use the Pink Tanning Mitt which is really soft and definitely comes in handy to get an even tan and avoids any you having to get a lot of tan on the palm of your hands! The smell is quite fruity, the only way I can describe it is the same as the Rimmel Kate Moss lipsticks but it definitely isn't that typical fake tan smell which is great! I apply this after moisturising, it's really easy to apply and the mitt really does come in handy! The length you leave the tan before showering depends on how dark you want the tan to be, if you want a light tan then leave it on for 1 hour before showering, 2 hours for a slightly darker tan and another hour for an even darker tan. The tan itself is even and not streaky at all, as I mentioned before, it is so natural and looks like you've been on holiday rather than looking like a wotsit! I found that the tan did last 7 days on me, this was after leaving it on for one hour before showering. I am really impressed with how long it lasted for! Another problem I have with fake tans is that they take too long to apply and I can be quite lazy, this was so easy to blend and it was quick, especially with the mitt! 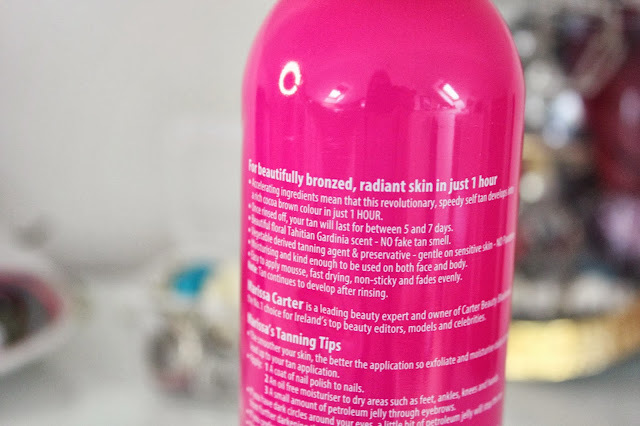 I am genuinely converted to fake tans since trying this, I am so so impressed with how long it lasted on my skin and how natural it looked on my skin! You can purchase the tan from Boots, Feel Unique and Superdrug for only £7.99 which I think is a brilliant price for what you get! This looks great, and pretty inexpensive too! this tanner looks great, i just wish you woulda posted a pic of your arm or something before/after!